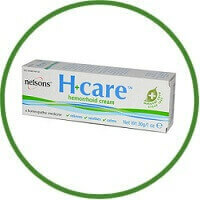 Nelsons H+care soothing haemorrhoid cream has been uniquely formulated to help provide soothing relief from itching, burning, and irritation associated with haemorrhoids. Established in 1860, Nelsons is Europe’s oldest and most experienced homeopathic manufacturer. Nelsons topical remedies represent over a century of excellence in natural skin care, and are unrivalled in effectiveness and quality.